According to a new report by The Robert Wood Johnson Foundation, a national philanthropic organization for public health, self-employment will increase significantly due to ObamaCare, beginning January 2014. The estimated U.S. self-employment increase would be 11% to 1.5 Mil. The newly self-employed will have access to the new Healthcare Exchange plans: Bronze Plan, Silver Plan, Gold Plan, and Platinum Plan. Healthcare has been an employment based system for so long, people have been afraid to leave their job because they would lose their health benefits. Now with ObamaCare, preexisting conditions are a thing of the past, people are gearing up for that new business. 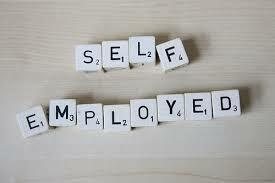 In Alabama alone, it is estimated that the increase of self-employment will rise from 118,000 to 134,000. If you are considering starting a business and want to learn about the new Healthcare Exchange plans available in your state please call 800-930-7956 or contact Medicoverage. I was wondering if these new small business owners will now have to offer health insurance to their employees?